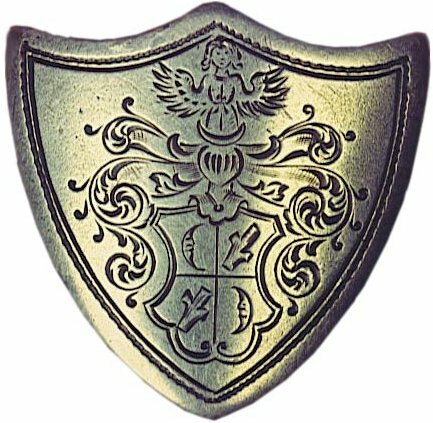 The Buchheit Crest shown here is a picture of one cuft link which has been passed down through one of the branches of the Buchheit family for generations. Family History suggests that the cuft links (there are two of them) have been handed down to the oldest son beginning with Frederick Buchheit (abt. 1824 - 20 Nov 1862). This family settled in the Troutville, PA area in the early 1800's. Some members of this family changed their surname to Buhite, Buheit and Buchite. Many thanks to Frank Buchheit for sharing this photo with us!